Today’s Book of the Week is a gentle, eccentric tale of the supernatural, full of hilarity, warmth and undefeated love. Knitbone Pepper is the beloved canine pal of the madly-hatted Pepper family, aristocratic but church-mouse poor, who live in the tumbledown Starcross Hall. Knitbone has adored Winnie Pepper, its youngest member, all her life. And now that he’s dead, that isn’t about to change. Freshly ghosted, Knitbone is horrified to find that Winnie can no longer hear or see him. And when he’s drafted into the S.O.S., a secret society of Starcross animal ghosts, he realises that the Hall is in peril from unscrupulous outsiders. 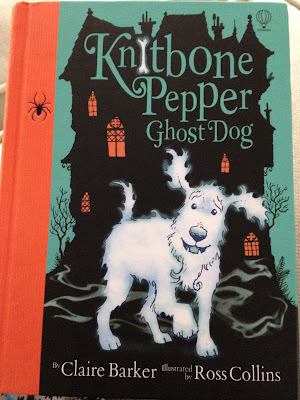 Can Knitbone save his owners’ home, and himself with it? And will Winnie ever be able to see him again? This lovely book, which sits at the younger end of the middle-grade bracket, steadfastly resists becoming saccharine, despite its foregrounding of the rich love between child and dog. 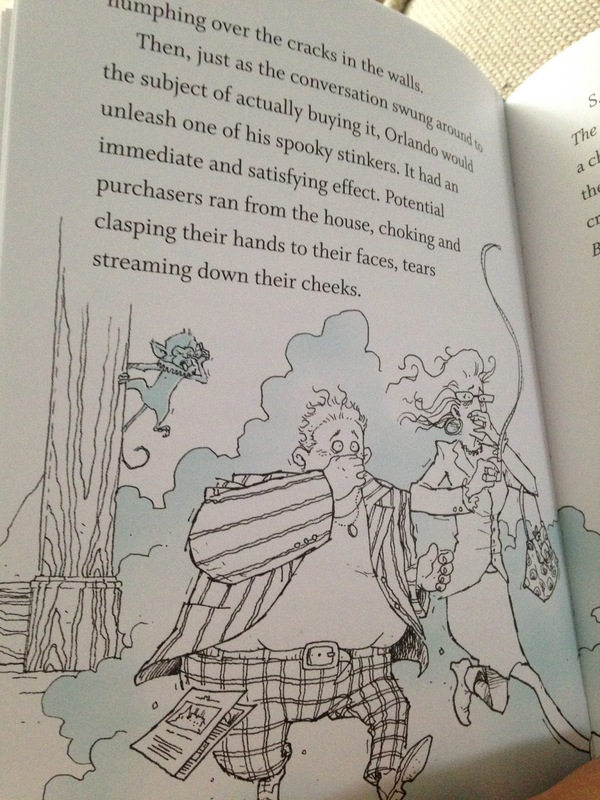 It has just the right amount of rude humour to provoke fusillades of giggles, including ghost-monkeys who make smells reminiscent of ‘cabbages and poo and pickled onions that had been made into an enormous smoothie. With fish sprinkles’. 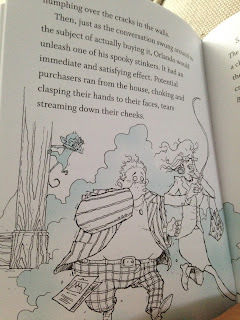 It has some splendidly reprehensible villains, in the form of Nora Sockpuppet, malevolent head of Bartonshire Town Council, and the sleek Krispin O’Mystery, Ghost-Hunter Extraordinaire. 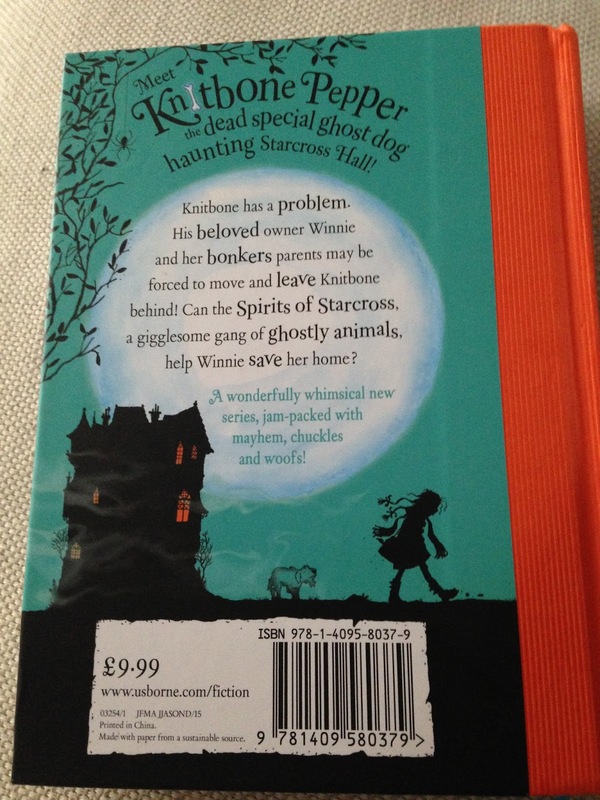 And the residents of Starcross – human and animal, alive and spectral – are pure delight, from the senior Peppers who try to pay off enormous debts with mega-marrows and favourite headgear, to Valentine the hare, who exercises in ‘a knitted leotard fashioned from an old hot-waterbottle cover’. There’s nothing funny about the depth of feeling between Winnie and Knitbone, though – this is a book which understatedly acknowledges how just profoundly a child can grieve. It’s also a singularly beautiful book to touch, feel and hold. 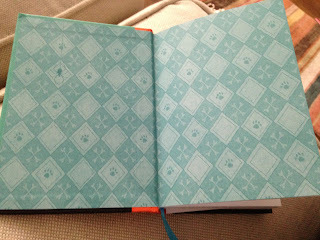 The corrugated spine-binding, in a rich Halloween orange, the blue-ribbon bookmark, the bone-and-spidery endpapers – everything about it looks and feels both child-welcoming and special. And Ross Collins, of Elephantom fame, has brought all his ghostly prowess to bear in the illustration, using a gorgeous, skim-milk bluey-white palette to create intensely appealing, half-there-feeling images. Varied fonts, with the same judicious use of spectral blue, add to the friendly sense of intrigue. A book to give and read at Halloween, Christmas – or at any time when a gentle, welcoming ghost story seems just what the doctor ordered. Ah, Mr Cole. I've been expecting you . . .